I cannot see how one can distinguish the Fed from the European banking system and looking at things in this way provides a very different picture of the international landscape. The Fed is dependent upon euro printing in order to ramp up dollar printing, yet they are both one and the same. All of the GS [Goldman Sachs] boys running over to Europe after the Fed banks defaulted on the OTC derivatives takes on a new light in retrospect. It was a family reunion! So says Goldrunner (www.goldrunnerfractalanalysis.com) in edited excerpts from his latest newsletter* (posted here, in part, with permission) entitled “PIVOTAL MOMENT FOR GOLD- PART III”. 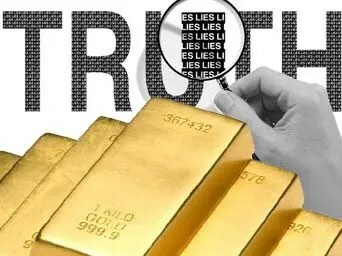 Let’s take a look at the primary factor for a rise in the price of gold – US dollar printing – where the dollar must be protected via euro printing through the U.S. Dollar Index where the Euro is about 60% of the Dollar Index [and what the role the world’s financial banking cartel has in all of this]. The Fed and the European banking groups are one and the same due to Fed ownership by the European banks so the Fed banks defaulting on the European banking debt certainly was no surprise to the European banks. The fact is that this group has full control of the European Union so they have full control over dollar and euro printing…As such, it is not in their best interest to see financial calamity in either the U.S. or in Europe. That rules out deflation and points toward massive printing…. The default on the OTC derivatives insuring the European anking debt left Europe with “austerity” in an attempt to get the European countries to go for unlimited European printing. That apparently did not do the job so the next step was threatening “bail-ins” it seems. They need everyone in Europe demanding the ECB to print as was done in 2008 in the U.S. in order to gain plausible deniability. Is there any question that they will be successful one way or another? The Fed is a master at forcing liquidity between asset classes to keep everything buoyant. They can show inflation when they want, and they can show deflation when they want. Today, they are talking dis-inflation to bubble up stocks via the DJIA while they move the price of Treasury bonds lower in the channel by talking “tapering QE” even as they continue printing via QE. As long as they print at an aggressive rate to buy US Treasury bonds then the US bond will stay in its channel or go higher because when the US bond tops, the US Dollar Index is not far behind. That suggests that gold will be going higher. As such, it makes sense for the Fed to “talk the US bond down” before ramping up printing, once again. The DJIA is continuing to make moves very similar to the 70’s as expected even though earnings are not robust. In fact, most of the earnings increases are more likely due to cost cutting by…[reneging] on employee benefits, or moving full-time positions to part-time. This can only work for short periods of time and, as such, we expect the DJIA to top this year and move down similar to its movement in the 70’s. Every time a company cuts benefits or employee hours, it eats into how much of the products each company produces and, on top of that, with real inflation in the double digits, those on fixed incomes are constantly contracting their discretionary purchases. If the Fed quits printing, then deflation beckons…Foreigners are not buying many US bonds and, in fact, it appears that they are selling. The U.S. needs to keep issuing debt to cover all of its unfunded programs and to pay interest on the huge debt. How can they do that without the Fed continuing to buy US debt, in fact, without increasing the amount of US debt that they buy? 1) The Federal Reserve and its parent European banking groups retain full management and control over the markets and pricing. In fact, these groups own a huge percentage of most assets in the markets in the U.S. and in Europe. Why would they want to suddenly deflate the price of all of their assets? 2) We have to distinguish [between] the Federal Reserve and the Fed’s banks in the above statement. The Fed’s banks own huge percentages of assets along with the European banks. The Fed itself buys US debt, and to some extent distressed assets of its banks. Some claim that the Fed is bankrupt so they won’t be able to buy more US debt but that is crazy. The Fed itself can print up all the dollars they need to buy US debt. That is supposedly their purpose in life. Thus, their earnings on assets are leveraged to infinity! They have no real costs since they print money for free. 3) The long-term fractal charts off of the 70’s continue to play out nicely, except that short-term the PM sector has been hammered while the Fed banks extract themselves from their short positions and physical PM responsibilities. These guys make their money with leveraged paper bets by front-running what their parent Federal Reserve is going to do. If they have covered their shorts and moved long paper gold, paper silver, and PM stocks [then] these assets are going vastly higher like in 1979. 4) It makes sense for “da boyz” to take the DJIA higher at this juncture much like the 70’s. 5) It makes sense for them to take the US bond down toward the channel bottom at this juncture, also. 6) What the trigger will be to take gold, silver, and the PM stocks vastly higher? That one is easy. It will be the Fed banks as JS has always said AND they will do it via paper gold! 7) No doubt that the COT numbers will look bullish at the right time, but that appears to be another managed item since there are OTC Derivatives that shadow them. Gold will run vastly higher as the Fed ramps up dollar printing, leaving nothing forensic behind except for charts and data that make it all look like an obvious move in hindsight. We have now entered the period where foreign investors are using their stash of US$ paper money to buy America, instead of just holding it, and it will not just be homes, expect to see farm land and water rights also be acquired. This will position them to control our food production and drinking water as well as who gets to live (and vote) where in the future, which will be especially true in flyover states where owning land allows one to also control local politics. By the Fed sending mixed signals, they are creating buzz but the cost of that buzz is hurting the US Economy, which many believe is the reason that the Fed is creating the buzz in the first place… This is yet another method to further enrich the Ultra Wealthy while at the same time moving ever more Americans lower on the economic ladder! With ever more unemployed and part time jobs (when even available) paying slave wages, it is no surprise that DC is calling for ever larger increases in DHS funding, because they know sooner or later the masses will start to wake up and get angry. In many states,once you serve time you are then unable to vote, which will make those that want to limit voting by the poor very happy!